These are our most popular styles of training forks (martingales). They are light weight and very adjustable. 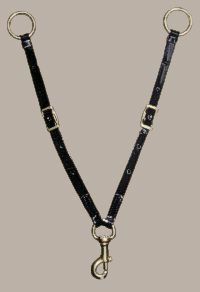 This 1/2" training fork, sometimes referred to as martingale, is adjustable with conways, available in beta or biothane and comes with a manganese bronze bolt snap, which attaches to the breastplate. Brass hardware. 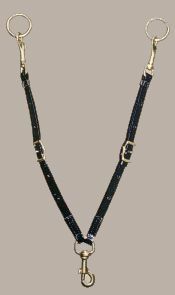 This 1/2" training fork, sometimes referred to as martingale, is adjustable with conway buckles and is available in beta or biothane and comes with a manganese bronze bolt snap which connects to a breastplate. 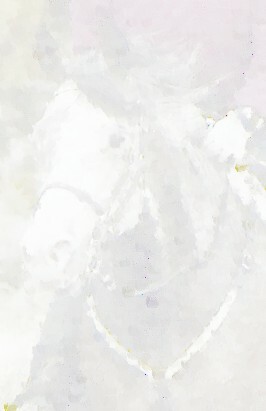 The solid brass rings stay on the reins and are attached to the training fork by 1/2" brass bolt snaps. Brass hardware. Choose your choice of training fork #3 or training fork #4, hardware and color.